Different studies were conducted over glass to make it useable as concrete constituents. But previous findings and applications were limited to low strength and low density concrete which didn’t satisfied requirements of concrete engineers. a. Unsatisfactory concrete due to alkali-silicate reactions and can’t overcome this problem. b. 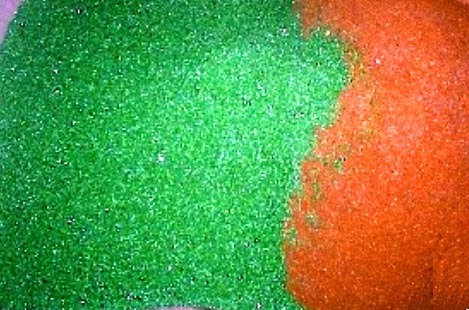 Selection of particles sizes for concrete constituents. Dear reader we will discuss about second point i.e. wrong selection of particles. There have a threshold size below which alkali-aggregate reaction is reduced and also have a threshold replacement of fine aggregate that can reduce such drawbacks. Choosing a coarser aggregate size produced concrete of poor quality. Such sizes of particles have elongated shape and smooth textures which largely contribute to poor concrete. Different types of glass produce concrete of different properties. They can successfully be used in prepacked concrete as coarse aggregate. The intrusion mortar can penetrate fairly well and can bind glass coarse aggregate to produce a unit mass of concrete. The strength of such prepacked concrete was found adequate so as to handle and ship and transport them. Dear reader we will discuss about prepacked concrete in our upcoming posts; please stay with us.